Grey Trace is a stay-at-home mechanic whose wife, Asha, works for the tech company Cobolt. Grey asks Asha to join him in returning a car to his client, Eron Keen, a tech innovator who is the head of rival company Vessel. Eron reveals his latest creation, STEM, a gadget that is meant to connect to anything and improve on it. As Grey and Asha return home, the A.I. car they are traveling in suddenly malfunctions and takes them to Grey's old neighborhood. Four men arrive and kill Asha, but keep Grey alive, only severing his spinal column. Grey is left wheelchair bound and is looked after by his mother Pamela. He is soon visited by Detective Cortez who reveals that they are unable to identify his attackers. He later tries to overdose and is visited by Eron who suggests using STEM and he reluctantly agrees. Jed started writing music, playing in bands and touring at a young age. He soon realised his great passion was capturing sound, and collecting sounds together as collage. He studied audio engineering and began his working life as a recording engineer and producer recording sound to analog tape. Exploring his own music, primarily on guitar and using samplers, and continuing to collaborate with others, his composition practice began to broaden, leading to commissions with theatre and dance companies. An interstate move instigated a shift in focus to the film industry, first working in all departments of post production sound, then a move into sound design for feature films, documentaries and television. Now, Jed is an acclaimed film composer, bringing together his vast musical experience, sound post production craft and audio knowledge to create vivid, textured, collage - like scores for film and television. 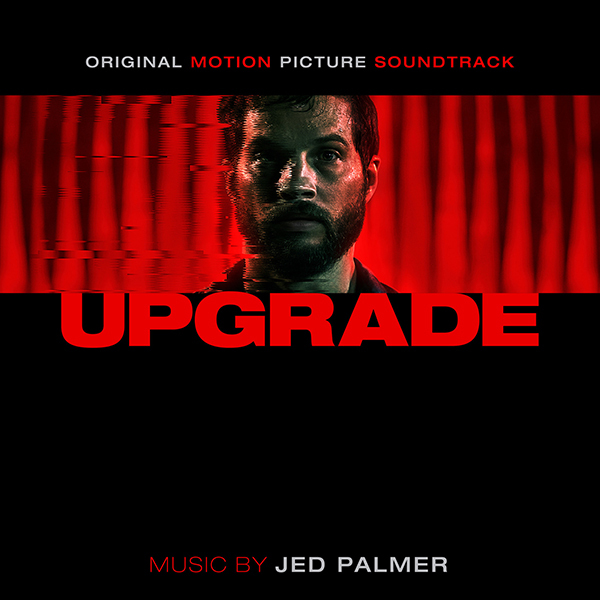 Jed has composed the scores for feature films including: Upgrade (Dir. Leigh Whannell, SXSW 2018) I Used To Be Normal - A Boyband Fangirl Story (Dir. Jessica Leski, Hot Docs 2018, SFF 2018) Otherlife (MIFF 2017, SFF 2017, San Diego 2017) The Infinite Man (SXSW 2014) and Ukraine Is Not A Brothel (Venice Film Festival 2014, Winner AACTA Best Documentary). Jed has written music for television including ABC TV's Restoration Australia and SBS TV's Vietnam - War That Made Australia. Jed has also composed scores for Sydney Theatre Company, Malthouse Theatre and Sisters Grimm, Restless Dance Theatre, Sandpit and Google Creative, and scored permanent exhibitions for Melbourne Museum. Jed has sound designed for feature films including: Wasted On The Young (Toronto International Film Festival), Bring Back The Dead (Singapore) and The Boy Castaways (Adelaide Film Festival 2013). From playing in bands to composer. He found his groove though.